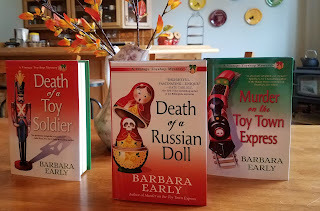 Killer Characters: Creepy Toys Word Search--with a giveaway! Creepy Toys Word Search--with a giveaway! Liz and Cathy are busy decorating the shop with the creepiest toys for Halloween. 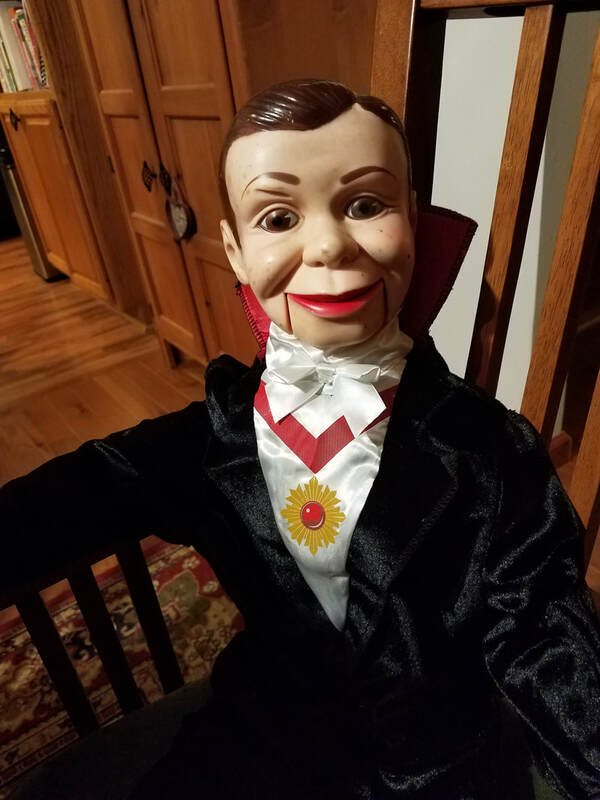 Vampire Charlie McCarthy has a place of honor. What else should they include? Hidden in this puzzle are some toys that can be pretty scary. Post one in the comments--along with a valid email address in safe, anti-spam format, ie. Name (at) myprovider (dot) com. 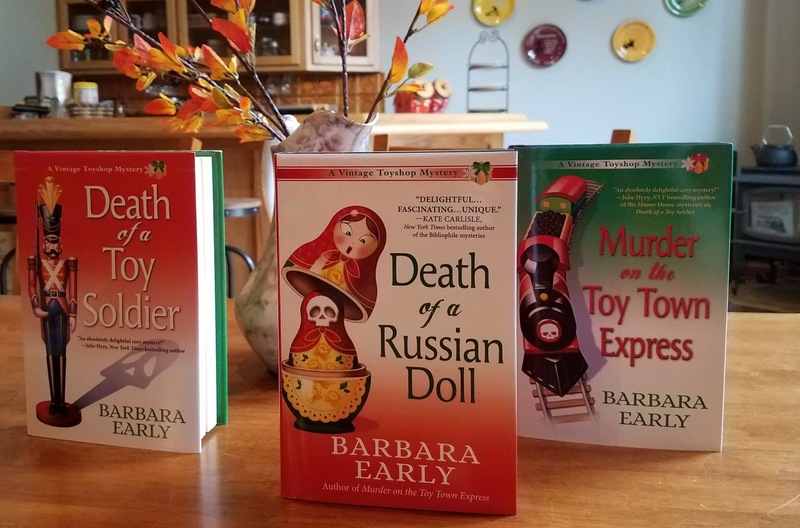 One winner at random will be chosen to receive their choice of one Vintage Toyshop Mystery, including the recently released Death of a Russian Doll! A winner will be chosen randomly at noon on Halloween! I see "test"! Now that isn't a toy, but it can be very scary! Stuffed Clown. Those are especially creepy to my mom. Fake vomit was the first I could find that made sense. Thanks for the chance. Porcelain Doll - dolls can be very creepy. stare right through to your soul. Thanks for the fun and the chance to win a book. Rubber snake, I am terrified of snakes.